The concept of money bail is almost as old as the penitentiary itself. And on its face, it seems logical: people charged with a crime can secure their release, and the justice system has a financial interest in motivating defendants to appear for trial. But in practice, it means that thousands of potentially innocent people are stuck in jail -- often for minor offenses -- simply because they can't afford bail. That's why cities, states, courts, and the Department of Justice have come out against pre-trial money. Add federal judges in California to that list, after one found no justification for San Francisco's bail schedule. "Given the consequences which flow from an extended duration of pre-arraignment detention, the court finds the deprivation significant," ruled U.S. District Judge Yvonne Gonzalez Rogers. "Accordingly, plaintiffs have shown that the sheriff, through use of the bail schedule, has significantly deprived plaintiffs of their fundamental right to liberty by sole reason of their indigence." The two plaintiffs in the case spent over 24 hours in jail before their families could bail them out. One, Riana Buffin, lost her job at the Oakland Airport after spending 46 hours in custody even though prosecutors quickly dropped the charges against her. Plaintiff Buffin's experience evidences the real-world consequences of such a deprivation; she lost her job. She is not alone. The evidence reveals that individuals can also lose their housing, public benefits, and child custody, and be burdened by significant long-term debt due to a short period of detention. Moreover, many detainees "plead guilty (or no contest) at an early stage in the proceedings to secure their release from custody." 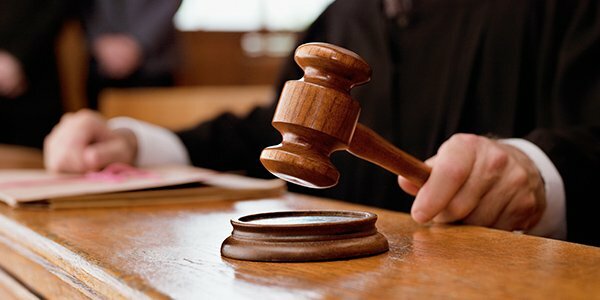 The ruling only applies to San Francisco's specific bail schedule, which Judge Rogers described as "arbitrary in that it sets amounts without regard to any objective measurement and thus bears no relation to the government's interests in enhancing public safety and ensuring court appearance." But it could be used to attack similar bail schedules in other cities, counties, and states.